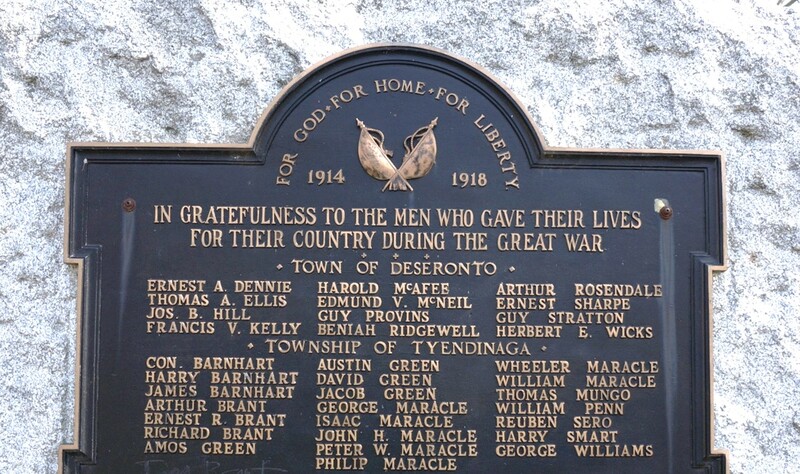 On this day in 1917 Wheeler Maracle was reported missing and later presumed to have died in a military operation of the 50th Battalion of the Canadian Expeditionary Force at Vimy Ridge. The unit’s war diary describes the twenty-minute engagement and notes that five men were missing after the action. Raiding Parties reached enemys front line at 9.04PM. Barrage lifted to enemys second line at 9.04PM. Each party successful in their allotted task. During whole operation enemy shelled his own front line. Identifications showed that the 16th & 17th Bavarians were opposing. Wheeler’s body was not recovered: he is remembered on the Vimy Memorial and in Deseronto.